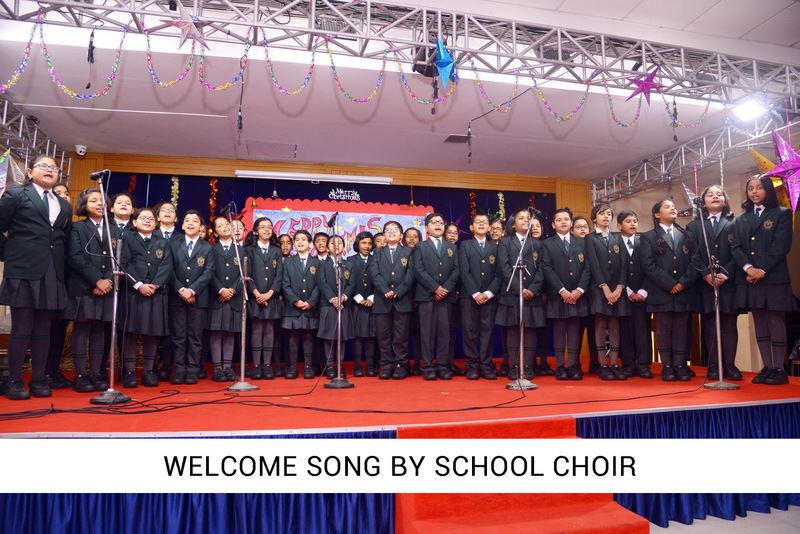 The entire family of DPS, Ruby Park came together to put up a Christmas Special assembly on 19th December in the Annex AV hall of the school.The programme began with the school choir welcoming everyone with their beautiful rendition of welcome songs followed by a welcome address. 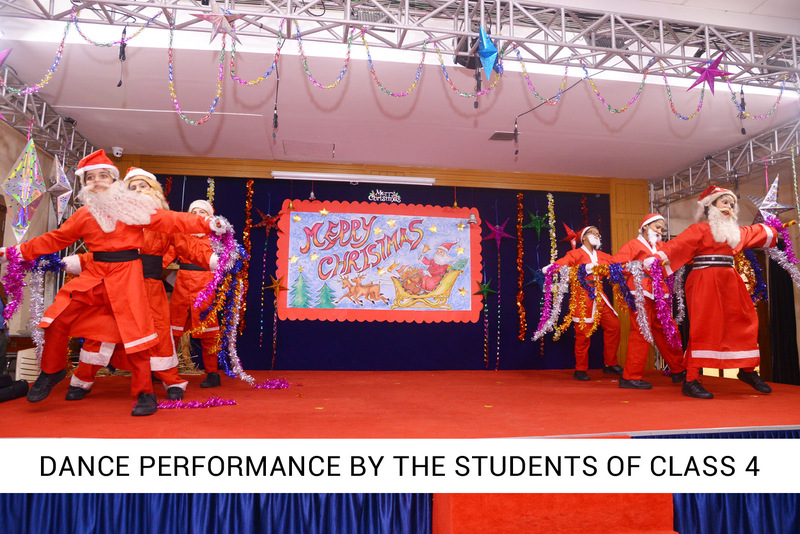 The show proceeded with the colourful and vibrant dance performance of our tiny tots of class 2 ushering the festive spirit. 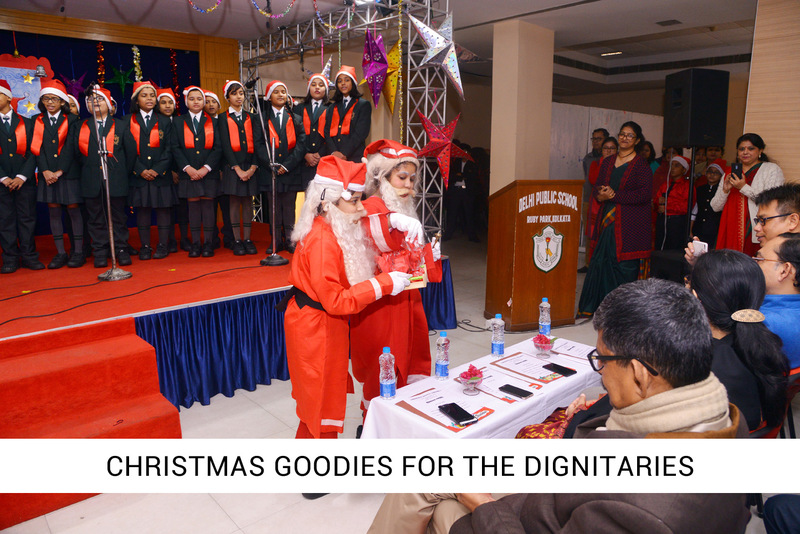 Though Christmas is traditionally celebrated to commemorate the birth of Jesus, it also reminds us of a very important fact that God has always been beside his children as a benevolent father, a guiding friend and a loving spirit. To present this the children of class 3 were the next on stage to enacta part that has been mentioned in the old Testament of the Bible, the story of a righteous man Noah and how his deepest faith in God led him to protect the world from a great flood sent by God and how he goes on to create a new world. 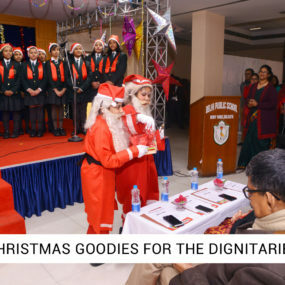 The students of Class 4 performed in continuity to this theme and went on to narrate the story of Christ’s nativity from the new testament of the Bible. Both the plays was a celebration of the fact that just like the multiple forms of God, his love and greatness towards his children has always been many fold. 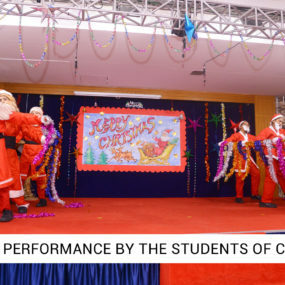 As Christmas is incomplete without Santa and the tunes of ‘Jingle Bells’ so is our Special Assembly and hence the kids of Class 4 danced to a modern rendition of ‘Jingle Bells’ with the parents and the people present there cheering and welcoming the little santas as they wished everyone and spread the joys and cheers of Christmas. 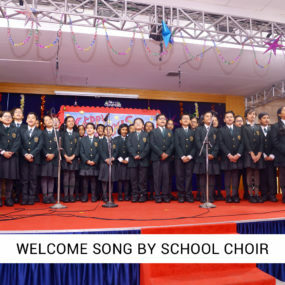 The programme concluded with the school choir singing an array of bright and soulful Christmas Carols followed by a vote of thanks. Later there were tiny santas going around in the primary section distributing candies.